Newcomer Family Obituaries - Nancy Kay (Oster) Beken 1942 - 2019 - Newcomer Cremations, Funerals & Receptions. Our angel, Nancy Kay (Oster) Beken, 76, of Rootstown, Ohio, was called to her heavenly home surrounded by her loving family on January 29, 2019, after a long battle with cancer. She was born February 12, 1942, in Akron, Ohio to Paul and Rosalie Oster. She was a 1960 graduate of Akron Garfield High School. Nancy married Ronald Beken on June 25, 1960. He was the love of her life. They were to celebrate 59 years of marriage this year. Nancy was a stay at home mom who was involved in Bettes, Jennings, and North High School PTA's and also served as President of Akron Council of PTA's in 1989. 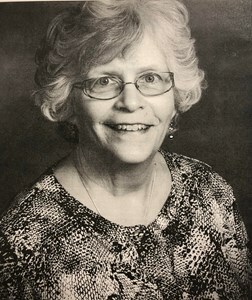 She returned to the work force in 1989 and recently retired in 2016 after 26 years as an Administrator with the First Congregational Church of Tallmadge where she made many lifetime friends. Nancy loved to sing and was a member of the Patterson Park Mother Singers and later, the church choir at the Rootstown United Methodist Church. She enjoyed being with people, laughing, lunching, and bible study. Most of all, she treasured her family and her many, many friendships. She was an example of living and loving a life through Christ. Nancy is survived by her husband, Ron; daughters and sons-in-law, Paula (Joe) Pascucci of Murphy, NC, Nannette Colando of Akron, OH, Roni (Vince) Racco of Green, OH; grandchildren, Angel (Matthew) Thornton, Adriona Miller, Alissa (Lee McKeown, fiancee) Miller, Alexandra Frashuer, Jamin Davis; great-granddaughters, Sophia and Savana McKeown; sister-in-law, Margaret (Joe) Lapinski; best friend, Janet Neubert; furry son, O'Reilly Beken; many beloved cousins, nieces, nephews, and many friends. She was preceded in death by her parents as well as her brothers, Kent Boden, Gordon Oster, Norman Oster, and son-in-law, Jerry Colando. The family would like to send our heartfelt thank you to Dr. Steven Waggoner of University Hospital Case Medical Center for giving us that second opinion and taking her under his wonderful care; her nurses from Western Reserve Hospice, Margaret and Trina, and family friend, Lora Proudley, your love and care will never be forgotten. The family would especially like to acknowledge their father, Ron. He set the perfect example of the vow "in sickness and in health". He loved and cared for our mother dutifully every day and never let a day go by without expressing his love for his sweetheart. Donations in Nancy's memory may be given to Rootstown United Methodist Church or Rootstown Fire and EMS, 4152 Tallmadge Rd., Rootstown, OH 44272. Calling hours will be Friday, February 1, 2019 from 4-8 p.m. at Rootstown United Methodist Church, 4065 State Route 44, Rootstown, OH 44272, where funeral services will take place on Saturday at 10:00 a.m. with Pastor Don Richards officiating. Cremation will take place at a later date and the family will have a private interment at Homeland Cemetery in Rootstown, OH. To leave a special message for the family online, visit www.NewcomerAkron.com. Add your memories to the guest book of Nancy Beken. Best Grandma I could ever have, wouldn’t of traded her for the world. Nancy and I went to Garfield High at the same time. We dated during our sophomore and junior years. She was a wonderful person. The picture of beauty, kindness, joy and class. Always had a big smile. Quite memorable even after 60 years. She introduced me to leg wrestling. It's where two people lay on their back in opposite directions, swing their right legs in the air and hook them together. The idea is to flip the other person. She flipped me and put me on crutches for about a week. I was embarrassed (as most 16 year old boys would be), to have had a girl best me. Although she was sympathetic, she had sort of a cocky grin whenever the subject arose. I'm so sad that she passed, however, knowing that she was a Christian warms my heart as I know she is with our Lord. Praise the Lord. So sad to lose my dear Aunt Nancy. Uncle Ron- cherish the memories of a romance that so few are lucky enough to experience. Deepest sympathy to all my cousins. Love to all who knew her. Nancy was a wonderful person who always had a smile for everyone. She was also meticulously organized in her job as church administrator. We have missed her presence since she retired! Our thoughts & prayers are with Nancy’s family. I’m sorry she had to leave you. May you find comfort and smiles in the many great memories of life with her. Meeting Nancy at the First Congregational Church was the extra bonus to my becoming a member of the church years ago . To me she was a true Angel - right here on earth! Her positive attitude , kind and encouraging words and expressive eyes were powerful and will be recalled over and over again . Memories to be carried until I see her again . A Lady loved by so many! I was very honored to work with Nancy at First Congregational Church for 15 years. She was so loving, kind, caring. We had a most wonderful working relationship at the office and we also saw each other out of the office. Whenever I had a problem about my job Nancy would always take the time, even when she was busy doing her own job to help me with it. Gosh, I could go on and on how I admired her. When I retired from Tallmadge church I always managed at least once a month to meet for lunch so I could see and talk with her. Nancy will always be in my heart. My sympathy to Ron, Paula, Nanette and Roni. May God watch over and protect you during this difficult time. I was blessed to know Nancy and her family for over 35 years. They are all wonderful people. Nancy set a standard of goodness, that almost can't be matched. It would be impossible to find a person who knew her, that wouldn't agree. I truly can't ever remember an unkind word from her. I don't know the procedure for picking saints, but she was absolutely worthy of being one. I'm very thankful that I knew her. Ron, children, friends and all that knew her, I'm so sorry for your loss. What a wonderful cousin and friend!! I wish I would've made more time to visit after I moved back to Ohio! I will see you again, someday! Give hugs and kisses to Aunt Obie, Uncle Paul and Mom for me! Hugs to Ron, Paula, Nannette, Roni and all grandchildren! I love you, Nancy Kay!!! We are so deeply sorry for the loss of your wife/mother/grandmother. Cancer is a nasty disease and we know all too well what it’s like to watch a loved one fade away. May you all find peace in your hearts knowing that she has eternal rest and is at peace with the Lord. I miss her already! Loved my best friend for almost 40 years! We certainly shared many awesome times together. Bless all the Beken family and praying for your comfort.